We offer a number of payment options and services for paying your child’s hospital bill as well as insurance assistance and financial aid. If you have questions about billing, please call 404-785-5589 or email us at billing@choa.org. You may now pay your bill using your MYchart account. To activate your MYchart account, complete the request form. If you are having trouble gaining access, please visit our MYchart resource page or call 404-785-7844. After your child receives care at Children’s, we will immediately send a claim to your insurance company to pay your bill. You will also receive a bill from us explaining that we have sent a claim to your insurance company. After we receive payment from your insurance company, Children’s will send you a bill for the remaining balance. Review the bill carefully. Any questions about the portion paid or not paid should be directed to your insurance company. The insurance company’s customer service telephone number usually is printed on the back of your insurance card. Depending upon the services your child receives, you may get more than one bill from Children’s or other providers affiliated with us. In addition to our bill, you also may receive a bill from a physician or professional service or anesthesia service. Online using MYchart: This option allows you to set up recurring payments or view statements and payment history. You may pay by Visa, MasterCard, Discover or American Express. Log in to your MYchart account and navigate to the billing account summary under My Bills. If you are the guarantor and are unable to locate your billing information, please contact us for assistance at 404-785-5589. Guarantor's last name: The Guarantor is the insurance policy holder. Guarantor number: This number can be found on your statement. Online payments will be processed within 24 hours of receipt. If you do not have a copy of your statement, or have questions about online payments, please contact us for assistance at 404-785-5589 or billing@choa.org. Phone: Pay over the phone by calling 404-785-5589, option 1. Children’s accepts cash (in person only), checks and all major credit cards. The insurance co-payment is due at the time of your child’s service, but if you are a self-paying patient, we ask for full payment at that time. Phone: Pay over the phone by calling 404-256-2593, Monday through Friday from 9 a.m. to 5 p.m. If you have questions about your dentistry or orthodontics bill, call 404-785-8394.
Review your child's insurance plan carefully to determine specific requirements for precertification or referral procedures. Even if Children’s is in network for your child's insurance plan, the doctor(s) treating your child may not be. Call your insurance company to let them know your child is scheduled for a procedure or appointment because preauthorization may be required. A representative from the admissions department may contact you prior to the procedure date to make sure all of your information is correct. Bring your insurance card (HMO, CMO, PPO, etc.) with you to each appointment. It will save you and your child time and needless waiting. If you forget your card, you will be registered as “self-pay,” and you may be responsible for the entire bill for your child’s service. If the procedure is not covered 100 percent by insurance or Medicaid, Children's may require a copayment or deposit to be paid when you register. Be aware that if you aren’t careful to follow your insurance plan's rules or guidelines, you may be held responsible for some or all of the charges not paid by your insurance plan. Some of the healthcare providers who care for your child at Children’s may be independent contractors and not employees of Children’s. Because insurance plans and coverage frequently change, Children’s cannot ensure that everyone who sees your child is covered by your insurance plan. We encourage families to ask questions and to work closely with your insurance provider. Also, notify one of our customer service representatives immediately if your child’s insurance coverage changes. If you have a specific question regarding cost estimates for a scheduled procedure or service, please contact Children’s Financial Counseling at 404-785-2678 or via email at PaymentEstimator@choa.org for assistance. In accordance with federal regulations, standard hospital charges are available here. We encourage patient families to consult with their insurance provider to understand insurance coverage, which charges will be covered, how much will be billed, information on deductibles and expected out-of-pocket responsibility. If you can’t pay your bill, Children’s has financial counselors who will help you take advantage of public assistance programs for which your child may be eligible. Your child may be eligible for financial assistance from Children’s; although, charges from physician or professional fees must be handled separately. Children’s may be able to set up a payment plan for you, and prompt pay discounts may be available for self-pay services. Speak with one of our financial counselors for more information. Our financial counseling department can be reached by email at FinancialCounselingDept@choa.org, phone at 404-785-5060 and fax at 404-785-9236. We accept applications for financial assistance at any point before, during or after care is provided to a patient. You also can contact our call center for more information at 404-785-5060 or 866-415-7358 for more information. We are available from 8:00 a.m. to 6 p.m. Monday through Thursday and 7:30 a.m. to 5 p.m. Friday. Patients and their families may be eligible for financial aid from public programs. Medicaid is a government medical financial assistance program that covers most costs for hospital stays, clinic visits and medicines. Some procedures or exams are not covered by Medicaid, and some must be preapproved. Some Medicaid programs are based on family income, and others are based on medical needs. You may be able to get coverage for pediatric healthcare medical services that occur three months prior to the month your child becomes eligible for Medicaid. 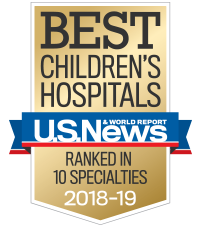 Children’s has an on-site office staffed by a Right from the Start Medicaid (RSM) case worker located on the first floor of our Egleston and Scottish Rite hospitals. If eligible for assistance, you may apply for Medicaid by completing the Medicaid application, and submitting it to either the RSM worker or your local Department of Family and Children Services (DFACS) office. PeachCare for Kids is a low-cost health insurance program in Georgia for children whose family income is too high to qualify for Medicaid. Program health benefits are similar to the benefits under Georgia Medicaid. Families must pay monthly premiums to receive financial assistance coverage for pediatric health care. You may apply for PeachCare online (the quickest way to get approved), by calling 1-877-GA-PEACH.